Are you planning to learn Chinese HSK4 and looking for an example test exam including answers? This HSK4 Chinese test is one of the most important learning tool to learn the Chinese language according HSK4 standard. Download this HSK Chinese test now! This HSK Mandarin Chinese words test template is suitable for those with a "high performance mindset” and are often using professional education templates to achieve their goals faster! This HSK4 test words list or Hanyu Shuiping Kaoshi (Hànyǔ Shuǐpíng Kǎoshì, 汉语 水平 考试) words list is the name for the international Chinese standard test to check how well someone has mastered the Chinese language correctly. It is also known as the "Chinese TOEFL". Unlike TOEFL there are separate tests for each level. Another difference is that you are passing the tests if your score is higher score than 60%: The exact outcome is less important. Another difference is that for each level published a dictionary that contains all the words to know. The test uses only these words for the respective level. For HSK4 one must know 1.200 words. 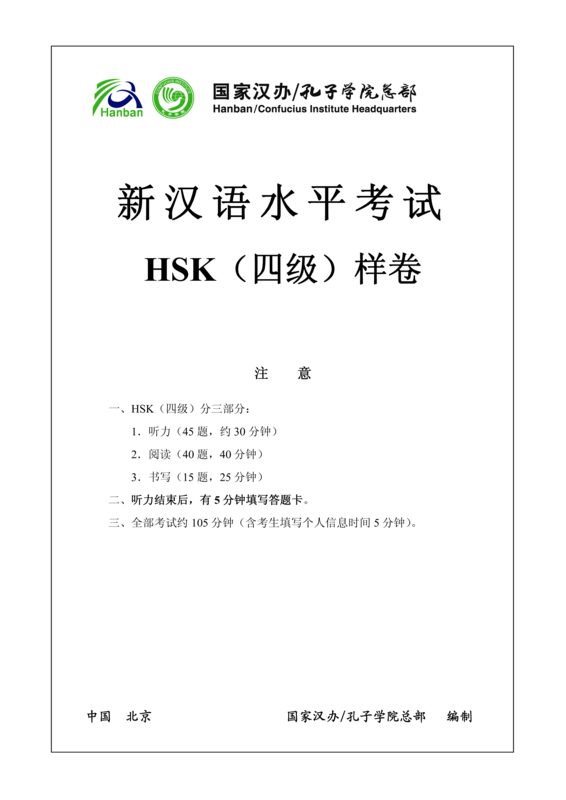 This template will help you preparing for the HSK4 exam. Download it now! Try out our online Free and Premium Chinese educational templates, forms and contracts today. Save, fill-In the blanks, print …and done!